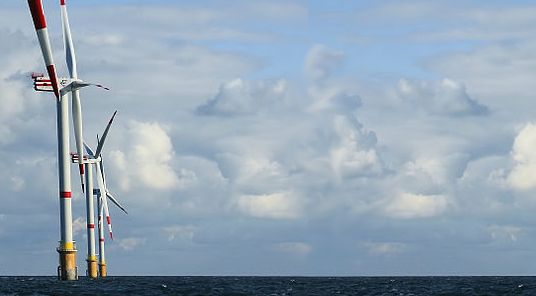 It’s full speed ahead for offshore wind. With growing interest in ‘low carbon’ and ‘green’ initiatives, offshore wind has the potential to be a sustainable energy source for the UK. But while the demand is there, the skills to realise these opportunities are in short supply. So how can the sector move in the right direction? Offshore wind may occupy a small share of the wider energy sector, but recently it has seen a surge in employment, rising four times to what it was from 2007 to 2010. This growth is set to continue, as wind power offers a clean way of generating energy and reducing harmful greenhouse emissions. And with news of the Atlantic Array project planning to build a 240-turbine wind farm in the Bristol Channel, the possibilities for growth are huge. This week the Department for Business, Innovation and Skills published its industrial strategy for offshore wind. Its focus is on building up a capable and skilled workforce to capitalise on this growth and encourage innovation in the sector. In particular, maximising opportunities for offshore wind generation requires high-level STEM skills for areas such as electricity generation and working with turbines. Similarly it requires attracting more talented individuals into the sector. I believe the way forward is to change the image of offshore wind. This is also a key focus of the industrial strategy. Moving away from the image of lonely wind farm; it’s clear the sector is alive with huge turbines and grand installations which require great ingenuity and innovative thinking. It’s time we start promoting this aspect of the sector. As Director of Siemens, and working in The Crystal, one of London’s most environmentally friendly buildings, it’s not just about promoting energy efficiency – it’s about promoting the image too. The Crystal Building is often viewed with awe and to date has attracted just over 80,000 visitors. And once you realise that it covers more than 6,300 square metres and generates all its own energy; there is a sense of what is possible. This same vision can help attract talented individuals to offshore wind, and also address the crippling skills shortages limiting growth in the sector. A report from the UK Commission shows that skills, rather than wages or conditions, was the main reason for vacancies that were hard to fill in the sector. In part, this is due to a lack of specialist skills, but it’s also due to the image of the sector. Boosting offshore wind’s image will strengthen its supply chain; attract more international investment, as well as more talented individuals to the sector. So let’s celebrate what the UK has to offer give offshore wind the potential to really take off. The Government can help by securing a policy that is 'fixed' and guaranteed. Currently the ups and downs of this sector can be off putting for those who look to enter this type of employment arena and those who are looking to make substantial investment. Investors in 'Wind' power, who can be 'secure' in investing, would invariably fund training and therefore the shortages of skilled workers can be addressed by ensuring 'investors' security of ROI. Public opinion to 'turbines' is varied to say the least as land projects have perhaps caused much negative sentiment to arise. The more people who can visit places like 'The Crystal' and be educated in the bigger picture, the better chances the wider positive psychology can take hold.